Sunny. High 76F. Winds S at 10 to 15 mph.. Partly cloudy skies this evening will give way to cloudy skies and rain overnight. Low 51F. SSW winds shifting to NW at 10 to 15 mph. Chance of rain 80%. Rainfall near a quarter of an inch. Emeryville, CA - August 17, 2009 - Get ready for heroic battles, vibrant worlds and boundless creativity! MaxisTM, an Electronic Arts Inc. studio, today announced that SporeTM Hero and SporeTM Hero Arena will be available at North American retailers on Oct. 6 2009 and internationally on Oct. 9, 2009. Built from the ground up exclusively for the WiiTM and Nintendo DSTM platforms, Spore Hero and Spore Hero Arena introduce a new level of action-packed adventure and combat to the critically acclaimed Spore franchise. ""Spore Hero and Spore Hero Arena give Spore and Nintendo fans a new, dynamic and engaging way to interact with their customized creature heroes," said Lucy Bradshaw, VP and General Manager at Maxis. 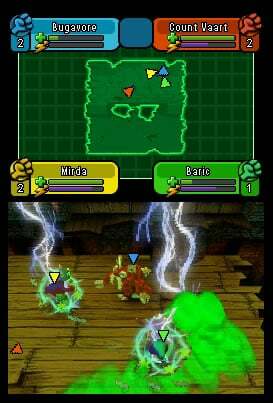 "Players' heroes take center stage as both games, distinctly tailor-made for its Nintendo platform, infuse creativity, combat and adventure to create a unique gameplay experience on the Wii and Nintendo DS." Spore Hero delivers the unparalleled creative freedom of Spore in an action-adventure game created exclusively for the Wii. Set in a rich and vibrant 3D world, Spore Hero empowers the player to become the hero as they embark on an epic quest to save their creature's home planet from destruction. Along this journey, players engage in fun battles, and solve puzzles to collect and unlock more than 250 new creature parts, all with unique abilities. These parts, which can be used to customize creatures in the revolutionary Spore Creature Creator, can change the way creatures will play and fight in the world. 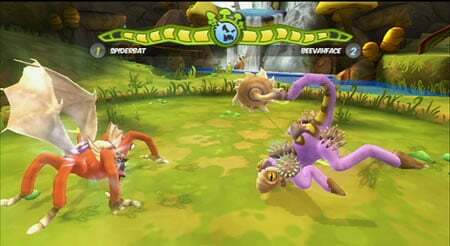 Players can also utilize their brawling skills in a dynamic multiplayer mode, where they battle their friends with their own customized creature to become the ‘baddest' Spore hero around! Spore Hero Arena catapults players into a galaxy filled with fun and intense arena-based combat. Featuring an all-new story set in the same universe as Spore Hero, Spore Hero Arena takes players on a quest to save planets in their galaxy from an evil force. Throughout the game, players create their own unique gladiator hero creature and guide it from planet to planet as they fight enemy creatures, collect new parts, gain upgrades and unlock special abilities that will benefit their hero. Developed with multiplayer capabilities in mind, Spore Hero Arena also allows players to battle with up to three friends locally or play with a friend over Wi-Fi, taking the Spore gameplay experience to an entirely new and interactive level. Available for $49.99 MSRP, Spore Hero is rated E10+ by the ESRB. Spore Hero Arena is available for $29.99 MSRP and is rated E by the ESRB. To learn more about Spore Hero and Spore Hero Arena, play minigames and download fun content, please visit www.sporehero.com. Congratulations to the 2019 Weekender - Sioux City Journal Siouxland's Choice winners!